I LOVED these tortillas. As I ate them for dinner all I could think about was all the great ways you could fill them! I did find them a little egg tasting at first, so breakfast ideas swirled in my head, but as I continued to eat them I found you could really put anything in these. I made my tortillas earlier in the day and refrigerated them until I ate them later at dinner. Earlier in the day , I also made a Mexican dinner for my husband and kids. I was going to the gym over dinner, so I left regular flour tortillas for them to make for their own tacos. So, this is how I ended up trying my new cauliflower tortillas Mexican style. 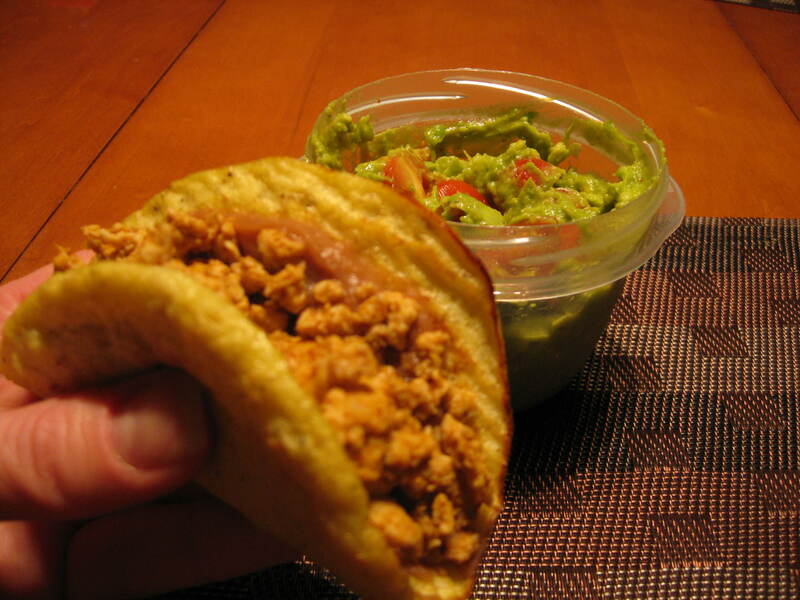 I had refried beans, taco-seasoned chicken and my homemade guacamole. I loved every bite! I simply just warmed my tortillas in a frying pan and it was a fast easy dinner. I bought a small cauliflower. I used the whole thing since the recipe called for 3/4 of a head and I thought for sure I would just get 2 cups riced from it. I ended up getting 3 cups from it. 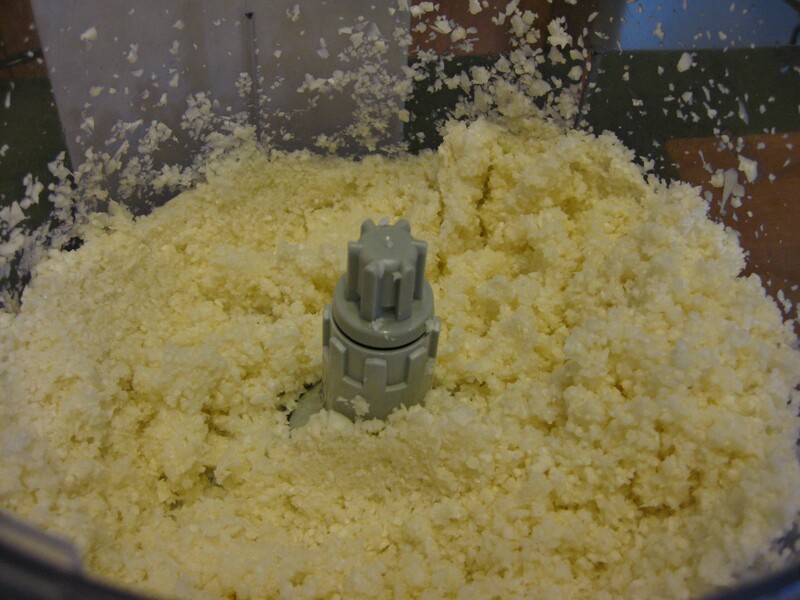 A food processor is a MUST in the recipe. This recipe is taken from slimpalate.com. The notes in the recipe are the author’s own. 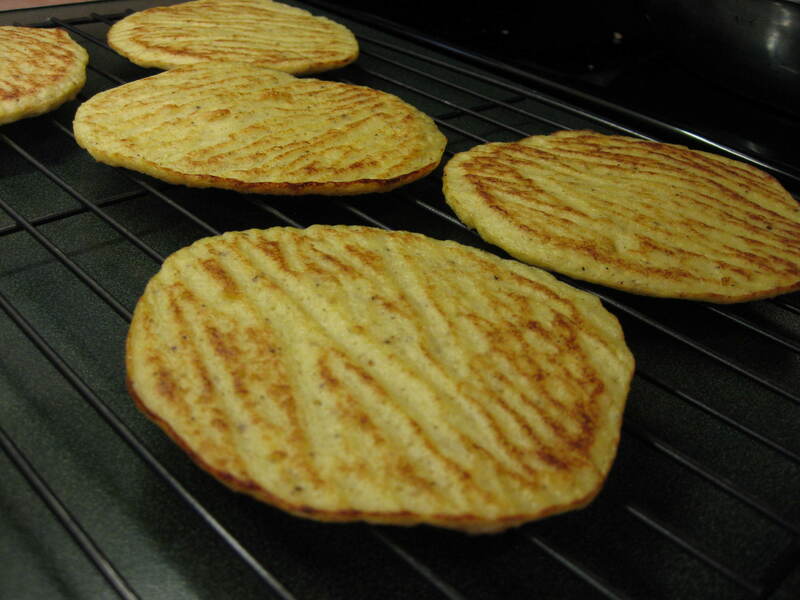 This recipe is paleo, grain free and gluten free. 1. Preheat oven to 375 degrees and line a baking tray with parchment paper. 2. For these I actually rice my cauliflower slightly more fine than cauliflower rice. Toss 3/4 a head of cauliflower cut up and most of the stem removed and pulse until you get a texture slightly finer than rice. (Once it’s riced measure it to make sure you have 2 cups packed). 4. Placed drained cauliflower back in bowl. Add the eggs, salt and pepper. Mix until well combined. 5. As a note, it will be a little runny but shouldn’t be pure liquid either. Spread mixture onto a baking sheet into 6 small fairly flat circles. 6. Place in the oven for 10 minutes. Take them out of the oven and carefully peel them off the parchment paper to flip them. Place them back in the oven for 5-7 more minutes. 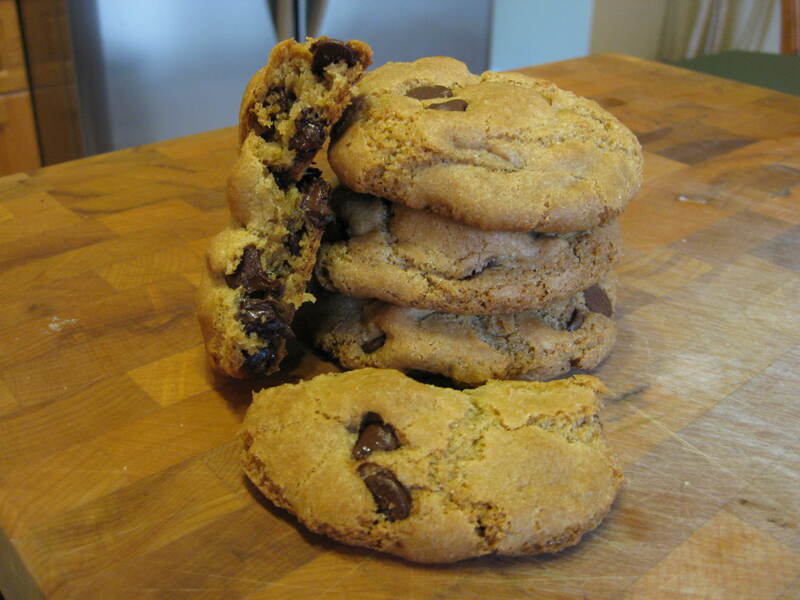 If I’m going to start baking gluten-free recipes…my first attempt HAS to be a chocolate chip cookie. I found this recipe on the Food Network site, courtesy of Alton Brown. I have never eaten a gluten-free cookie before, so I was happy with the reviews and it seemed like everyone who tried this recipe really liked it. The ingredients in this cookie are very different then what I’m used to. 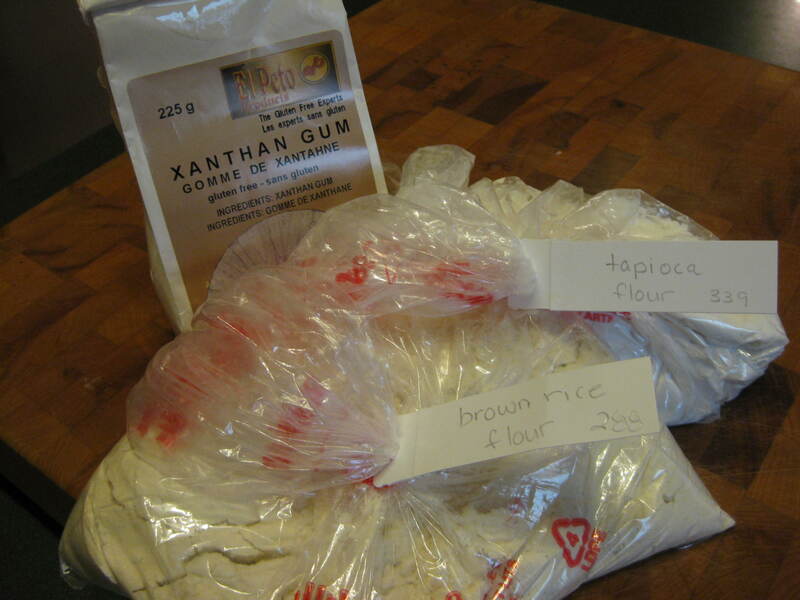 What the heck is xanthan gum? Needless to say, the ingredients were easy to find in my one-stop shop at Bulk Barn. Luckily the flours were all 20% off the day I went, but the xanthan gum was not! The little package I purchased was $14.00! Is eating gluten-free going to be this expensive? I followed the recipe exactly to the weight measurements. 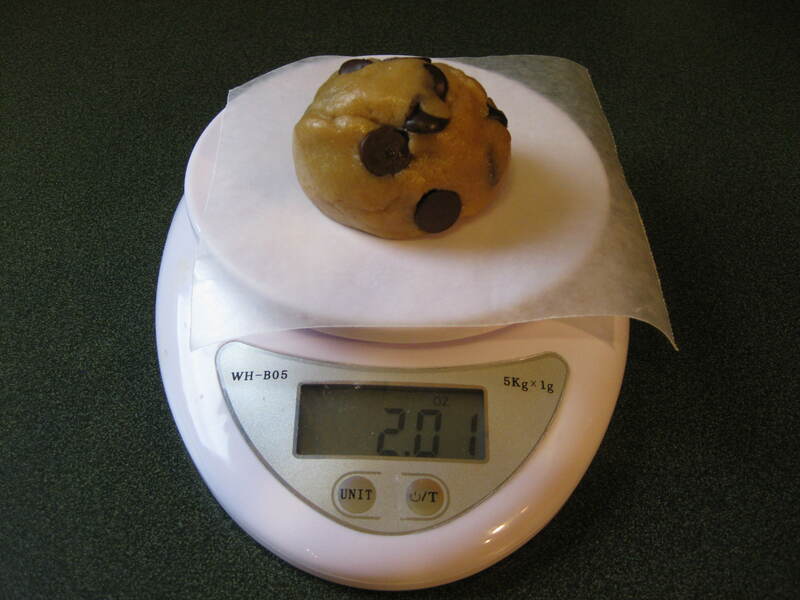 I even weighed out my cookies balls before baking them. I did not add the salt since I used salted butter. When the cookies came out of the oven, I noticed they were very dark brown. Usually when I see a cookie that dark I think the oven is too hot or the person cooked the cookie for way too long. The brown rice flour is a little darker, so I know it is changing the look of the cookie. I’m just so used to seeing the lighter color of my all-purpose white flour cookies. I really like this cookie. I like the crispier outside with it’s chewy inside. I do need a few taste testers on this one since I can only compare these to wheat cookies. 2. Melt the butter in a heavy-bottom medium saucepan over low heat. Once melted, pour into the bowl of a stand mixer. 3. Add both of the sugars to the bowl with the butter and using the paddle attachment, cream together on medium speed for 1 minute. Add the whole egg, egg yolk, milk and vanilla extract and mix until well combined. Slowly incorporate the flour mixture until thoroughly combined. Add the chocolate chips and stir to combine. 4. Chill the dough in the refrigerator until firm, approximately 1 hour. Shape the dough into 2-ounce balls and place on parchment-lined baking sheets, 6 cookies per sheet. Bake for 14 minutes, rotating the pans after 7 minutes for even baking. 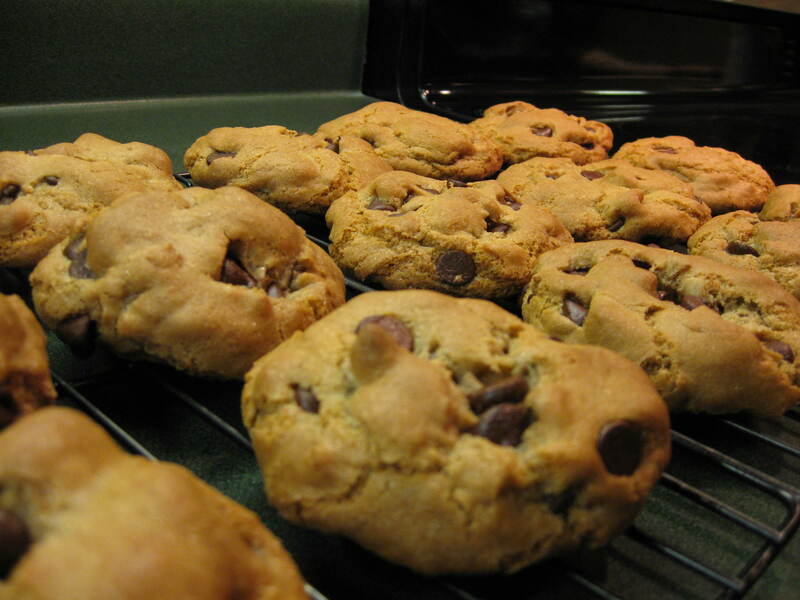 Remove from the oven and cool cookies on the pans for 2 minutes. Move the cookies to a wire rack and cool completely. Store cookies in an airtight container. It amazes me sometimes at how old my blog is, but yet the recipes I make almost weekly just never end up here. 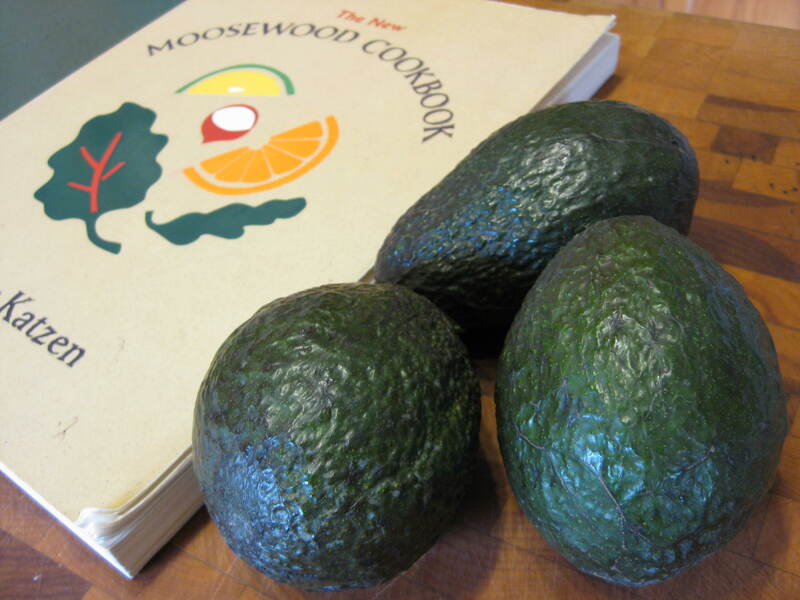 This recipe is taken from “The New Moosewood Cookbook” by Mollie Katzen. I use 3 avacodos in my recipe since I take some out for my son, then I mix the rest with diced tomatoes which he doesn’t like. 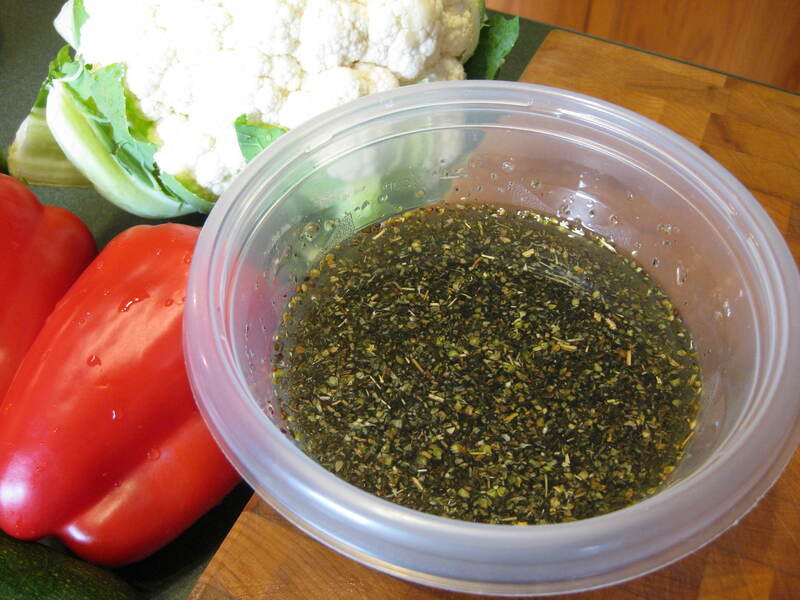 I add 1/2 tsp of cumin and 1/2 tsp of chili powder. I use either lemon or lime, whatever I have on-hand. 1. Place the lemon or lime juice in a medium-sized shallow bowl. 2. Add the avocado (you can just cut it open and spoon it out of it’s skin), and mash with a fork to whatever consistency you like. 3. Stir in remaining ingredients. Cover tightly and chill. 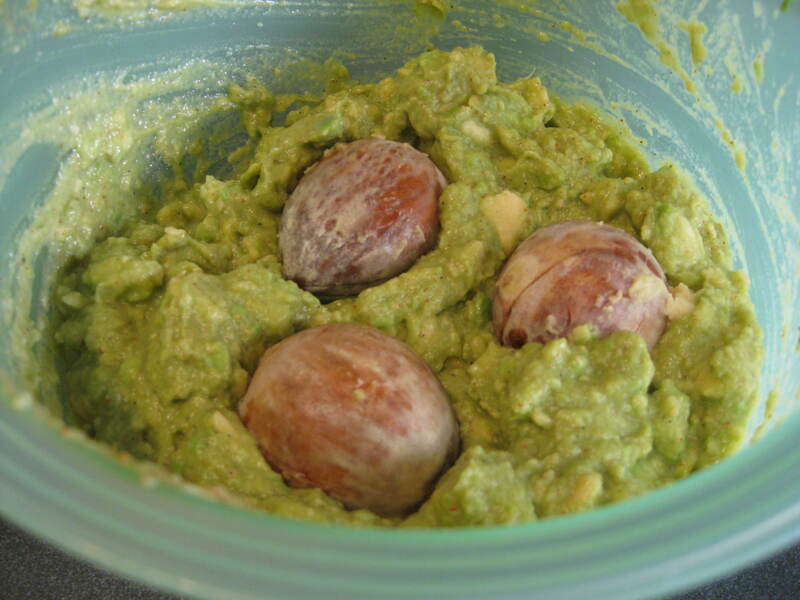 NOTE: To help the guacamole retain it’s color, add the avocado pits. Remove them just before serving. This recipe was given to me about 15 years ago from my Mom. It was taken from a Homemakers magazine. I love quick salads like this one. It’s easy to make and super fresh to have on hand for a quick lunch, or dinner side. 1. 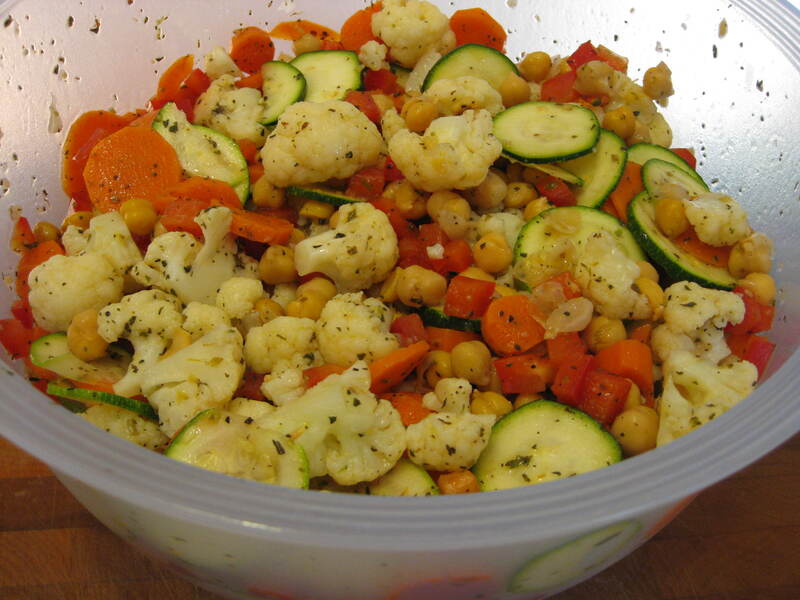 Cook cauliflower and carrots in boiling water to tender crisp, about 2 minutes. Drain well and place in a large bowl. 2. Add zucchini, peppers and chickpeas. 4. Pour over vegetables and toss. Cover. Refrigerate for at least 4 hours or up to 4 days.